Drinks, dancing, diversity: Three new bars coming to Near Southside’s Lipscomb Street - Near Southside, Inc.
Lipscomb Street in Vickery Village is getting ready to add three new bars to the neighborhood – Dallas-based Anvil Pub, Dallas-based Twilite Lounge and the new location of the Rainbow Lounge. Though the establishments give off very different vibes they will be sharing close quarters. Anvil Pub describes itself as a “hip, Irish pub with over-the-top bloody Marys and updated pub fare.” Twilite Lounge calls its space a “casually elegant haunt featuring New Orleans-inspired cocktails,” and Rainbow Lounge is known for its history as an LGBT community hangout and safe space. All three will be housed in the 15,000-20,000-square-foot former Morrison Surplus Outlet warehouse at 212 Lipscomb St. Anvil Pub will occupy the space between Twilite and Rainbow Lounge. Transwestern’s Bill Behr is representing the Rainbow Lounge; real estate agent Burke Taylor of 3 Under Management represents the 212 Lipscomb property. Danny Balis, a co-owner of Twilite Lounge and an area musician, said the bar should be open in the fall. “Devil is in the details, but we're close. At this point, I would look at early autumn,” he said in an email. After a June 1 fire destroyed Rainbow Lounge’s home on Jennings Avenue, it is coming back like a phoenix from the ashes just a few blocks away. Twilite Lounge and Anvil Pub are coming from a little farther away; their initial locations remain in Dallas’ Deep Ellum off Elm Street, where the two bars are neighbors. According to Northern Realty Group’s Will Northern, it isn’t unusual to see multiple types of one business sector coming to an area at the same time – there’s a synergy that can happen in these cases. In fact, Northern Realty Group is representing Locust Cider, another adult drinking location, coming to Near Southside off South Main Street – less than a mile from the three bars on Lipscomb. Northern has seen a lot of the development in the Near Southside. He finds that the flexible zoning in the area brings a lot of different types of living spaces and businesses – from large multi family development to single-family housing and from bars in converted warehouses to old homes repurposed into new restaurants, record shops and more. With streetscape and other improvements, Northern said, the city is doing its part on the infrastructure side to help support new businesses, but now it’s up to residential development to affect population density and bring the people, the roofs, so the businesses will follow. With eight new mixed-use and residential units on the books in 2016, and at least nine more coming in 2017, according to Near Southside Inc.’s 2017 Annual Progress Report, development in the area is not only encouraged, but in some cases necessary to keep up with the growing population. 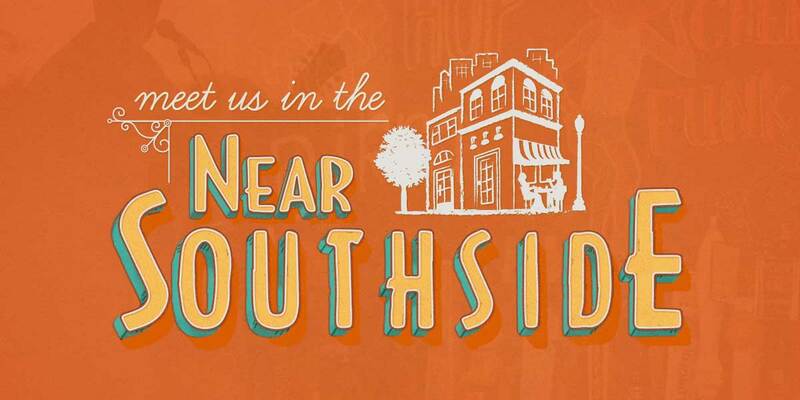 The only gap left seems to be for some smaller retail stores, grocery and laundry options, which Near Southside Inc. hopes will find a spot in the community soon. 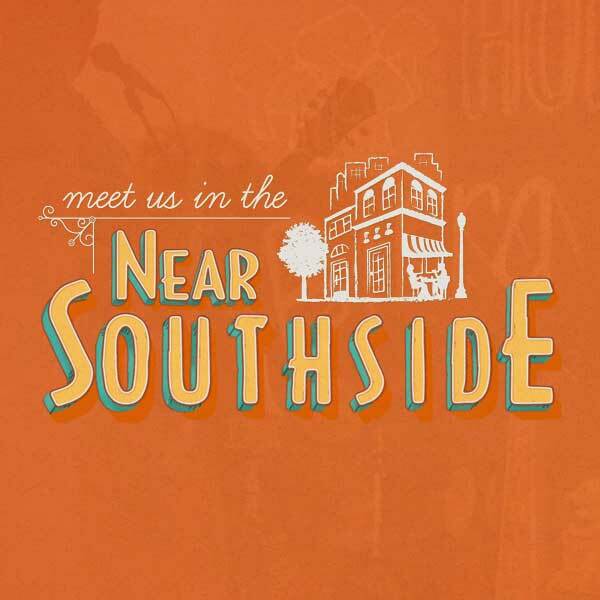 Meagan Henderson, director of events and communications with Near Southside Inc., says the organization’s goal is for the district to be a true urban district, where every piece of the community is layered – not just an entertainment or medical or residential area, but where every block has something from each category to offer the people who live, work and visit the area. While adding the three new bars might imply that the area is becoming a bit of a bar or entertainment district, Henderson said that category of development is sort of the underdog. Mike Brennan, Near Southside Inc. planning director, said that along with the need for all types of developments in every area of the district is the need for walkability and the importance of small business. Currently there are more than 130 locally owned and operated businesses in the district. Danny Balis is co-owner of the Twilite Lounge in Dallas’ Deep Ellum. He is also a bassist for Fort Worth indie-rock band Calhoun and a producer of one of the area’s longest-running and highest-rated sports/guy talk show, KTCK’s The Hardline. He and fellow musician Jess Barr, guitarist for alt-country band Slobberbone, opened the original location in 2013, where it quickly became a dive bar that musicians could love. Now the two musicians/businessmen are tuning up plans for a Fort Worth location, hoping to bring a similar vibe to the burgeoning South Main area. Balis answered some questions from the Fort Worth Business Press about plans for Twilite west. How does it feel to be opening a new location in Fort Worth? Feels fitting. I grew up briefly in Fort Worth as a kid, and one of our partners is originally from Fort Worth and recently moved a block away from Twilite FW to run day-to-day ops in a hands-on manner. Being currently in the band Calhoun, I've made wonderful relationships with west side club owners. The Forellas (Lola's Saloon), Danny Weaver (Aardvark), the folks at The Usual, Magnolia Motor Lounge, etc. It's going to feel like home being here. What do you think about the Rainbow Lounge and the Anvil Pub being your neighbors? Is it preferred or [is it] more competition for there to be multiple bars in a centralized location? It reminds me of Deep Ellum five years ago. On Elm Street, we had Anvil, Dada, Trees, Three Links and Black Swan, and little else in the entire area. Since then, the neighborhood has 10-20 times the bars/venues compared to 2013. Although I personally don't see Near Southside becoming the New Deep Ellum … we love the idea of having multiple bars linked together for people to bounce around to and from. We're great friends with the Anvil guys and can't wait to have such a diverse little string of bars in one place. Super excited for Rainbow to re-open. Tragic what happened to them in June. Do you think street construction slowing down will help bring more patrons to your bar and surrounding businesses once it’s open? I mean, it makes sense that it would ... I hear from the city that Lipscomb [Street] will be completed by next week … Ideally, all street construction will be complete before we even open. What makes the Twilite Lounge different from other bars? Ha! Hell, I don't know. Four walls and a bunch of booze, right? I can say this: The reason I frequent a bar is for two reasons, and they have to work in concert together – vibe and staff. We have been fortunate enough to surround ourselves with the best staff in Dallas. Cool, friendly people. No elitism, no snark. Honest and inviting and straightforward. We can't wait to assemble a group of badass Fort Worth people to start our own Twilite family on Lipscomb. That family, along with our New Orleans-inspired laid-back vibe, will make us different. Like in Dallas, we'll have an old-school jukebox filled with great soul, jazz, old country, 90's alternative and Fort Worth local music. Already have discs from Son of Stan, QCNH, The Orbans, Calhoun (duh) to include. We seriously cannot wait to be here. For four years, every Fort Worth band that has played at Twilite Dallas has told me that they wish they had something like this in The Fort. Those comments were a major contributing factor in us pursuing a spot in the 817.